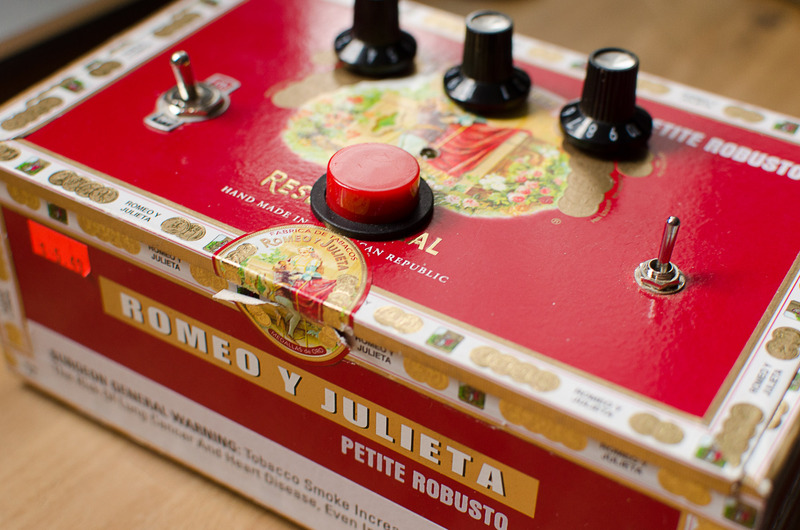 Petite Robusto is a randomised MIDI note pattern generator, built into a cigar box. Code available here. 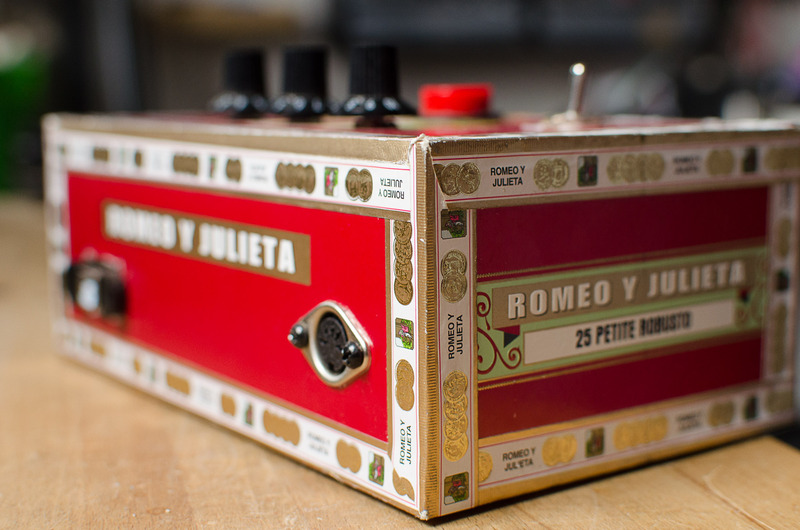 I designed and built this box as a way of quickly creating patterns to play on my Korg MS-20 mini synthesiser – I found I often just wanted to trigger a series of notes that would allow me to play with the settings on the synth. The standard method of doing this is using CV with a sequencer like the original SQ-10 (and the new SQ-1). However I liked the idea of using MIDI, rather than CV, which would allow me to control any number of instruments (including my other homemade MIDI devices). I also wanted a dedicated hardware box so I could use it without a computer. 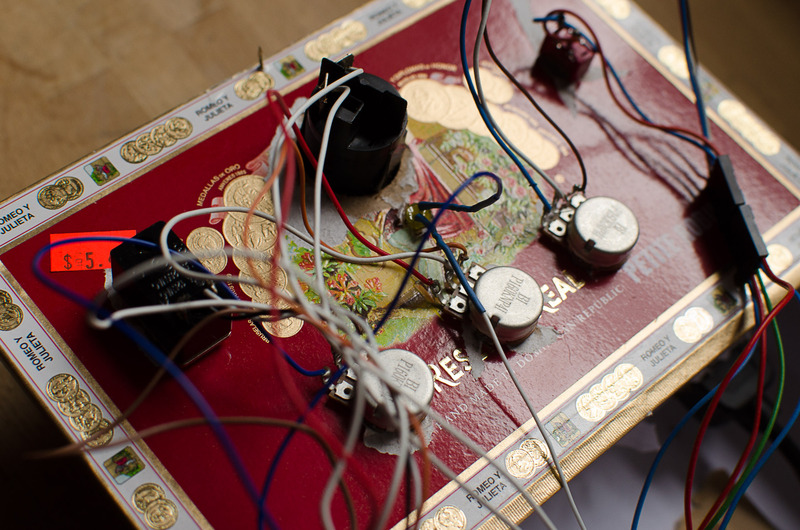 I’ve ended up with a minimalist controller that automatically generates a set of random notes. It’s really fun to use. 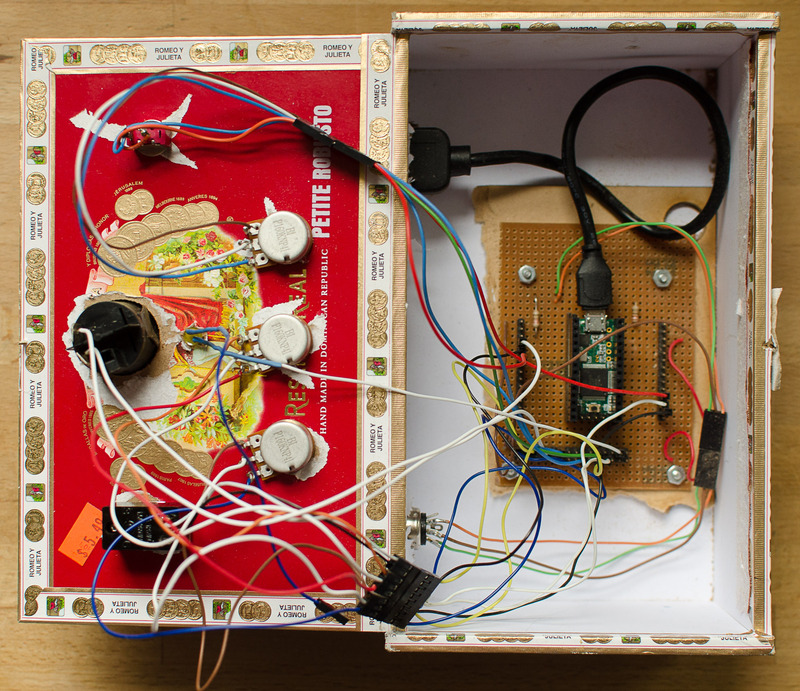 The box uses a Teensy LC microcontroller. 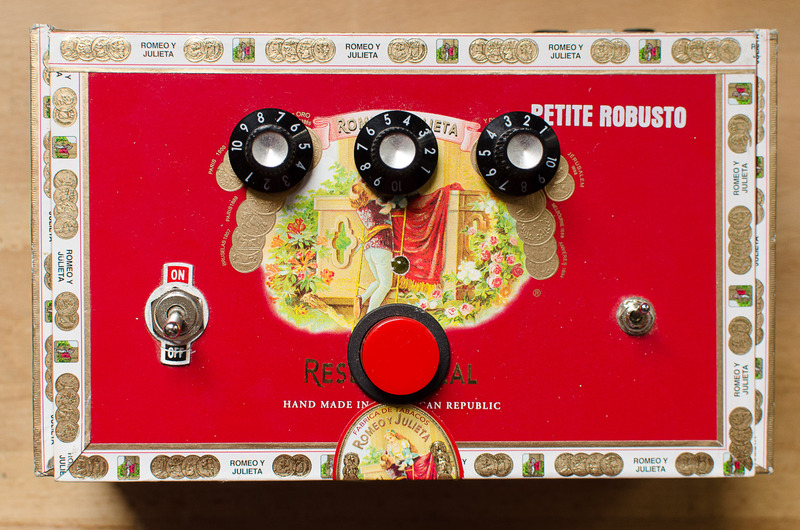 There are three knobs, two switches, and a button. The button generates a new pattern of notes. Every time you press the button the previous pattern is lost. No saving or undo. The knobs control tempo, sequence pattern length, and note length. The ‘tempo’ is actually partially dependant on the note length – this is a bit strange feeling but I ended up liking the unpredictable results it created. The sequence can be 1 to 25 notes long. One switch turns the pattern generation on or off. The other switch turns on “Super Random Mode”, which means the timing between notes is also randomised. The notes are sent over old-fashioned MIDI or USB MIDI. 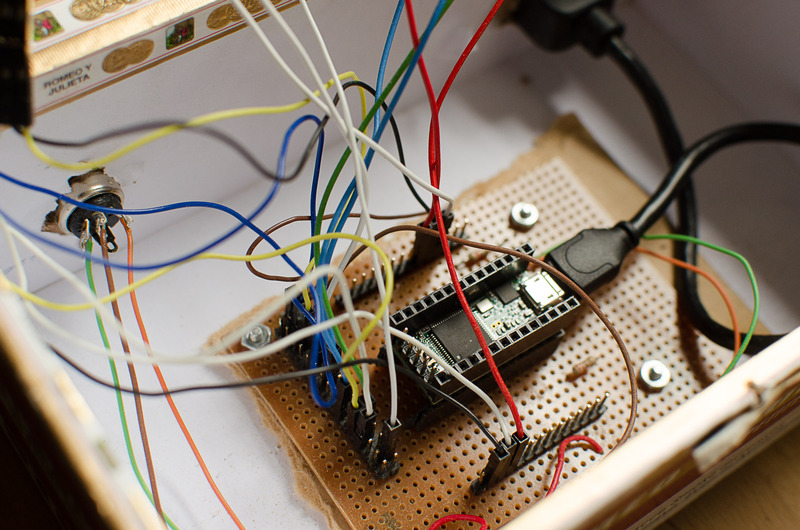 I don’t have schematics, but you can get the code on my github page. The code includes instructions on how I wired it up.